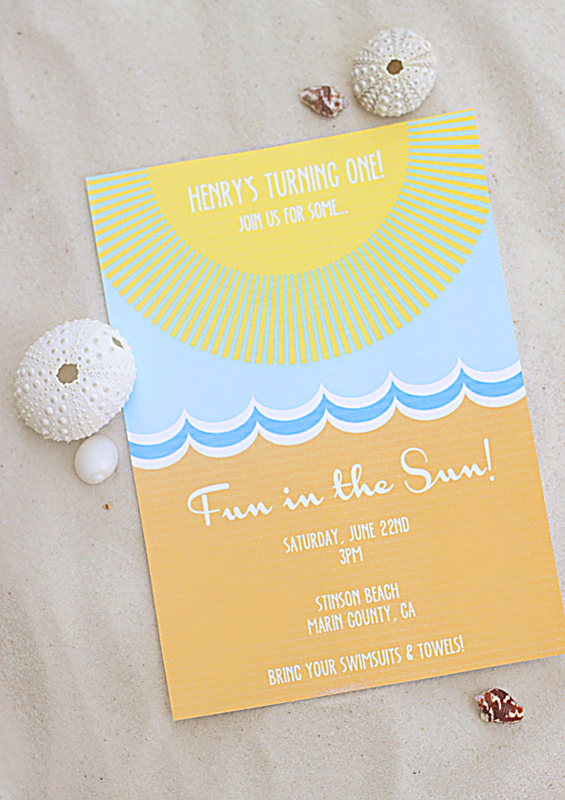 Friends- I'm pretty flipping excited to be debuting a new collection of party invitations on Etsy today, just in time for the start of summer. You might wonder why they have a similar look, but that was actually purposeful. Inspired by our upcoming family vacation to Kiawah, I sketched out the wave concept... but once I started designing I kept thinking of different ways to apply it. 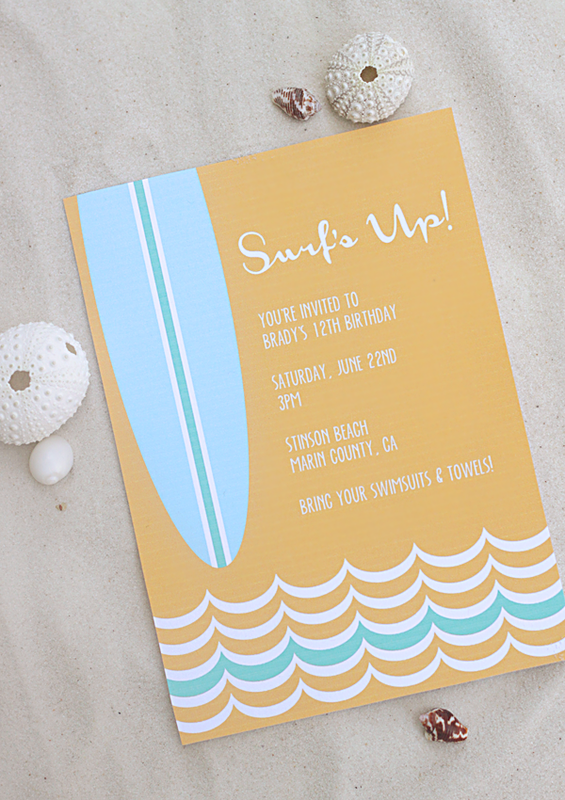 So I decided to challenge myself and create a similar design across multiple party themes... surf, pool and beach. I'm happy with the results and I'd love your feedback. Now go out and plan yourself some summer fun! Click here to purchase invites. 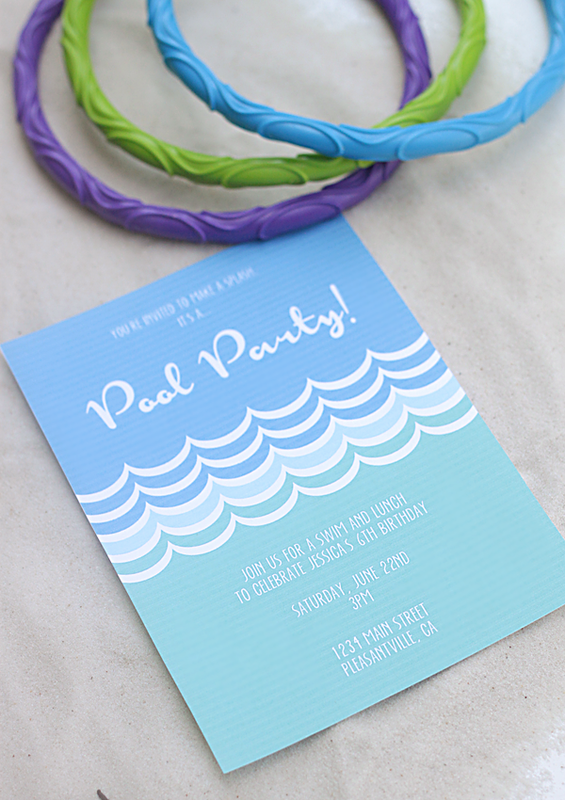 I love the graphics and printables! This is so cute! !